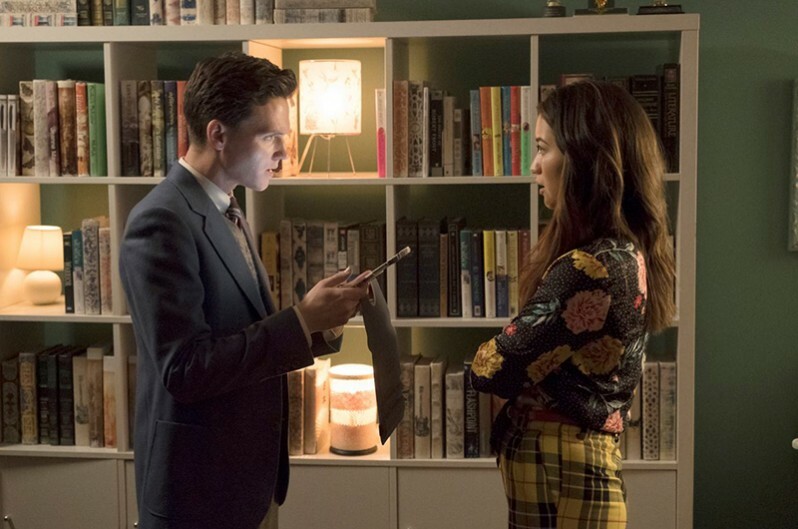 Abigail Spencer, Matt Lanter. Photo by Justin Lubin ©2018 NBC/Universal. All Rights Reserved. Photo by Justin Lubin ©2018 NBC/Universal. All Rights Reserved. Photo ©2018 NBC/Universal. All Rights Reserved. The bunker was once a government facility before the Time team moved in. 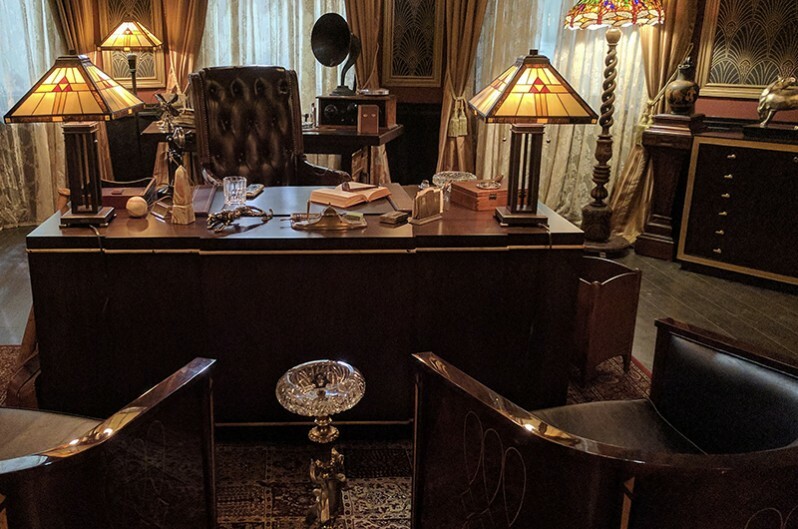 Much of the set decoration was rented from SDSA International business member LCW Props. 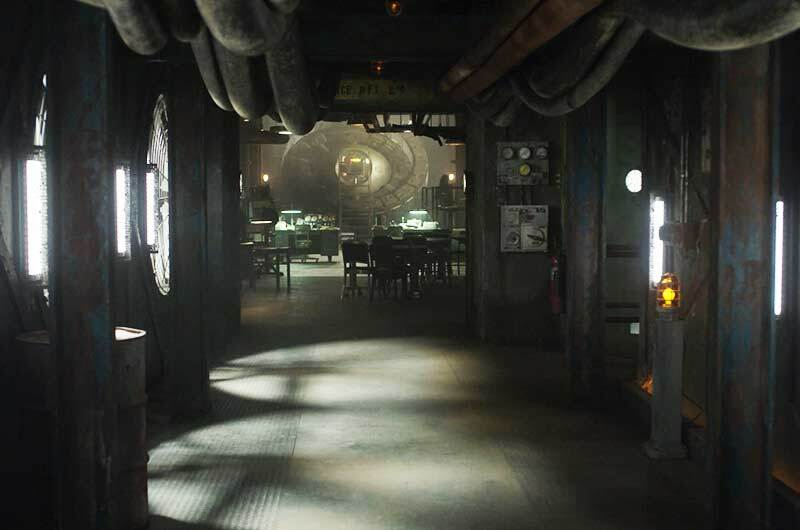 This is the corridor to the Kitchen and TV room, notice the Lifeboat in the distance. The Mission Control Center for the Lifeboat, located just inside the lip of the bunker. 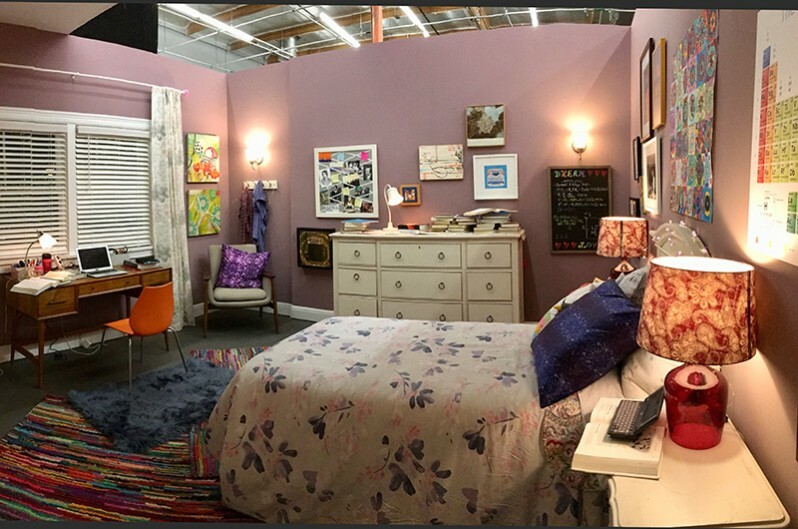 Notice the top of the walls of the set. 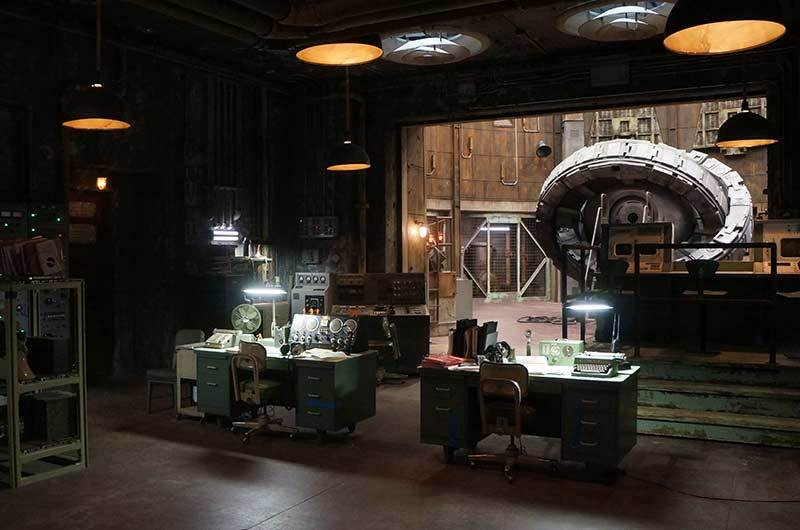 Since the bunker set was built on a soundstage, Visual Effects department has to add height to the “old missile silo”, which in the storyline, is used for the time machine and its lift-offs and returns. Bolder enjoyed updating sets and taking storylines further visually. Minor changes to this already well-established set...collaboration through time and set decorators! Lucy [Abigail Spencer] discovers that Marie Curie has brought portable X-ray machines to help with the wounded. 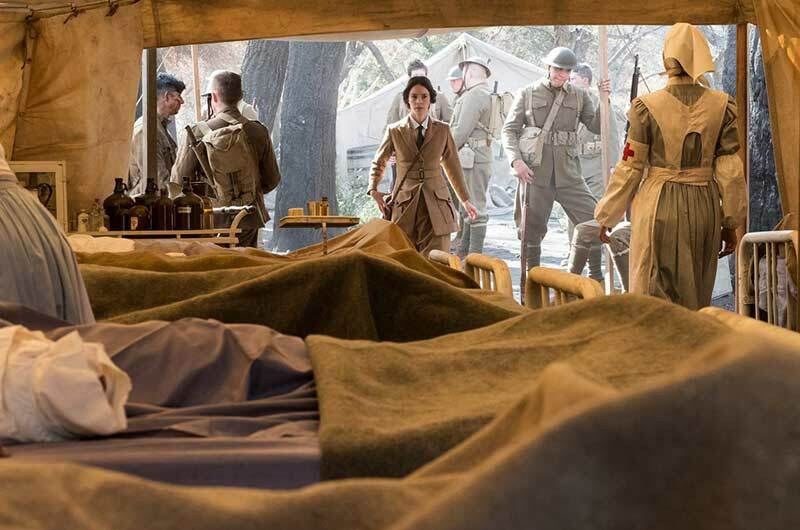 Here, we see WWI medical tents sets filmed on location at the Disney Ranch. 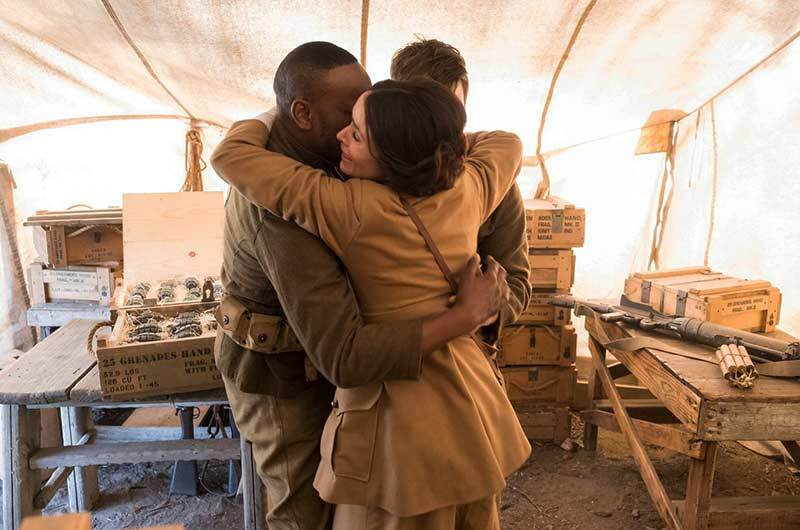 The team finds each other after Lucy was thought to be lost, taken by Rittenhouse in the preceding episode about WWI. Malcolm Babbitt, Abigail Spencer, Matt Lanter. Photo by Justin Lubin ©2018 NBC/Universal. All Rights Reserved. Malcolm Barrett, Abigail Spencer, Matt Lanter. Photo by Justin Lubin ©2018 NBC/Universal. 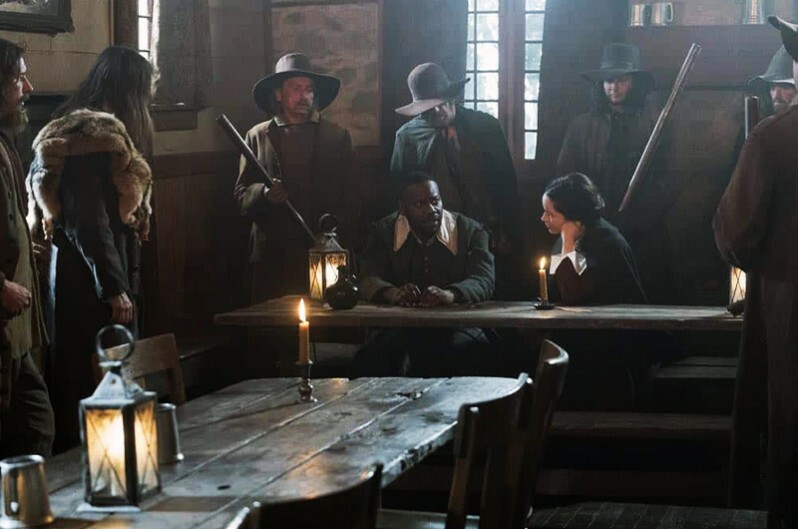 Inside a saloon in Salem, Massachusetts, 1692, during the Salem Witch Trials...this was the farthest back in time that Season 2 went. 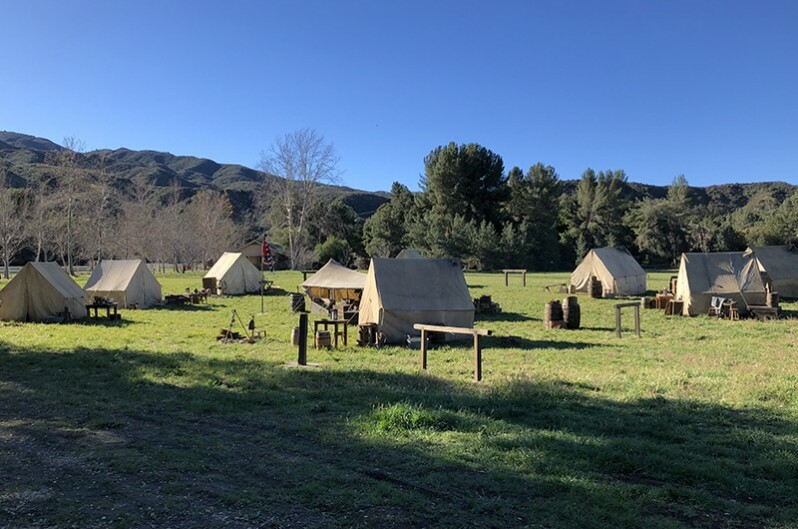 Luckily for both Set Decorator Dena Allen SDSA International and Production Designer John Zachary, they had experience with this time period, as they had worked on the film SALEM years earlier. Malcolm Barrett, Abigail Spencer. Photo by Patrick Wymore ©2018 NBC/Universal. In the episode The Kennedy Curse, a young JFK is brought to present day 2018 by the Time team to save his life. He is taken to the bunker, but escapes and finds himself at a high school party. Seen here present day 2018 with a teenager who has just showed him his future and now looking at a coin with his face on it, the silver half dollar. Grant Jordan, Reina Hardest. Photo by Justin Lubin ©2018 NBC/Universal. All Rights Reserved. 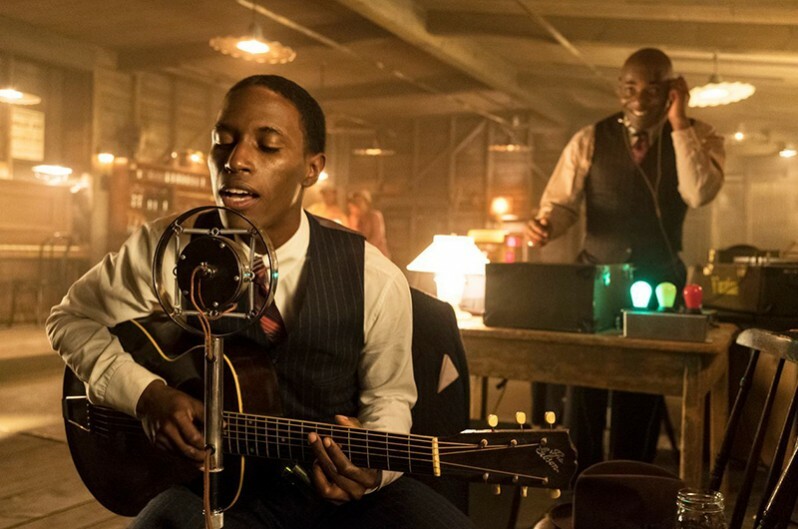 This juke joint set was built on a sound stage, Robert Johnson [Kamal Naiqui] is seen recording a record of the blues, with Mason manning the controls. 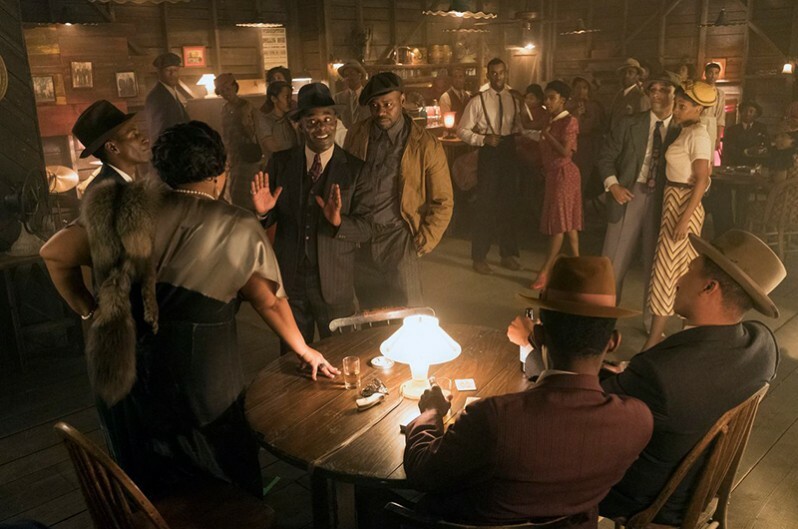 In this scene, in the Depression-era South, Conner Mason [Paterson Joseph] meets famed blues singer Bessie Smith [Radha Blank]. 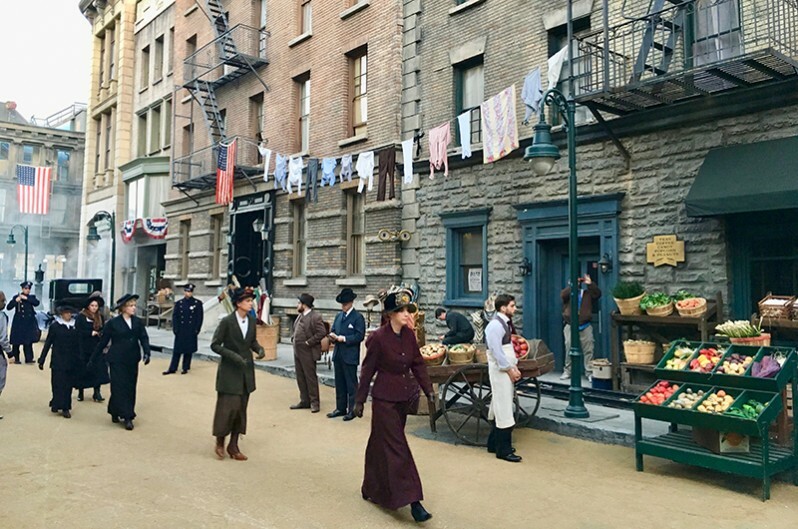 The backlot of Paramount is transformed into 1919 New York City during the campaign of women's suffrage. First layers were: lighting, sconces, door numbers, plus dirt put down over the asphalt to create the correct time period. 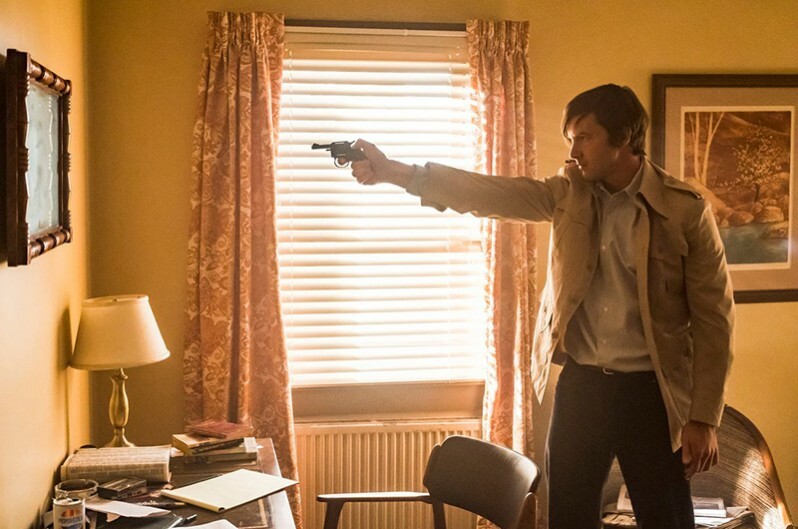 1981 Washington D.C. Hotel, moments before John Hinckley Jr [Erik Stocklin] steps outside and shoots President Reagan. The scene where Reagan was shot was filmed in downtown Los Angeles at LA Center Studios, which formerly had been Unocal Center, headquarters of Union Oil Company. Photo by Ron Batzdorff ©2018 NBC/Universal. All Rights Reserved. A Civil War battlefield, just after the Time team has arrived and right before they meet Harriet Tubman. 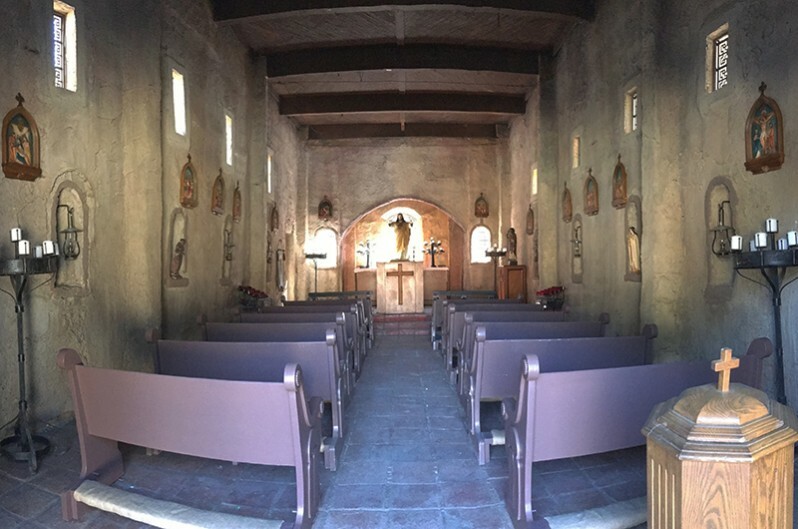 This scene was filmed on location at the Disney Ranch. Rittenhouse has planted sleeper cells through out history. Rittenhouse’s Emma and the sleeper cell officer that was planted into the past, seen in his sleeping quarters/officer’s tent. Annie Wersching, Kevin Sizemore. Photo by Ron Batzdorff ©2018 NBC/Universal. All Rights Reserved. 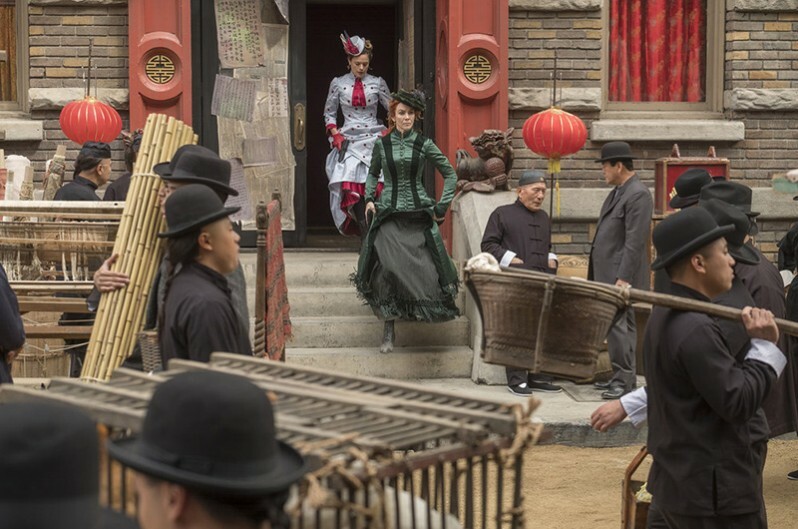 It took three days to transform the backlot of Paramount into San Francisco’s Chinatown area of 1888. What you don’t see is the downpour, unusual for Los Angeles, but the damp and grey skies lent credibility to the San Francisco re-creation. Annie Wersching, Tonya Glanz. Photo by Ron Batzdorff ©2018 NBC/Universal. All Rights Reserved. Goran Visnic, Matt Lanter, Abigail Spencer, Malcolm Barrett. Set Decorator Janessa Hitsman SDSA International had planned to rent prop control panels, but they were suddenly not available, so she had to have these built! Quite a task, given the devil is in the details...every light on the panels had to be rigged, parts had to be locally sourced. Hitsman was proud of what her team could pull off in a short window of time. ...Appropriate for a show that is TIMELESS! “Lucy travels back to 2012 to find Flynn contemplating life in a dark and dreary neighborhood bar. The direction was to make it a dive. Dive bars are fun to decorate, as you can put years worth of character and collected junk in them. Almost anything that tells a good story can work. 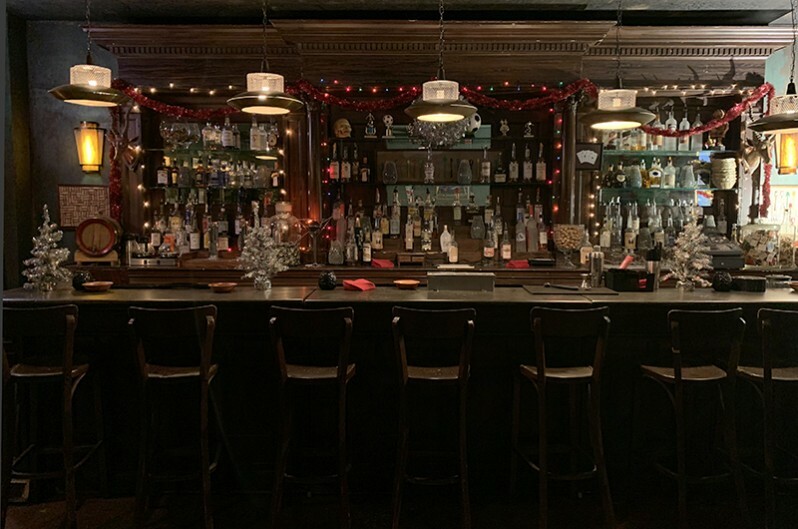 The carved wood animal heads at either end of the bar are a fun touch. “Korea was freezing cold at Christmas in 1950. Evacuees make their way through war torn rural areas headed towards the port. 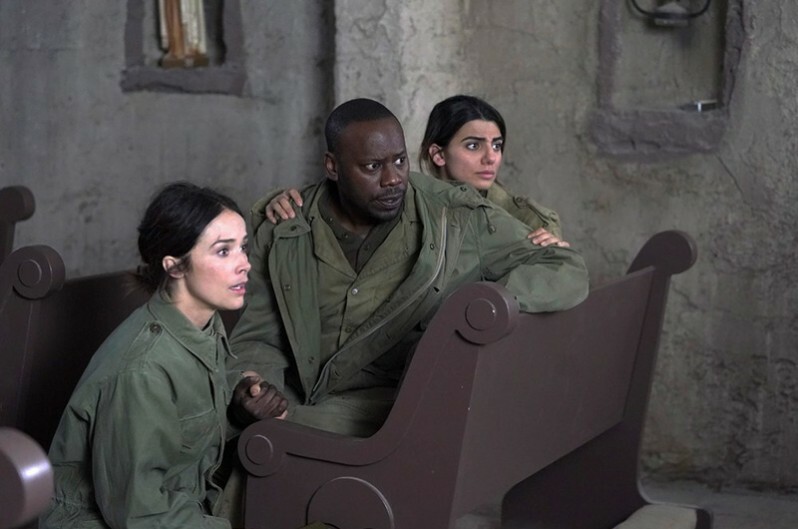 Abigail Spencer, Malcolm Barrett, Claudia Doumit. The time-travel series TIMELESS has the unique twist of visiting untold moments in history...and the iconic historical figures instrumental in these moments...as part of an ongoing race to prevent the destruction of the world as we know it. ...When we wrote this article a few months ago, we thought TIMELESS was finished, having been cancelled by NBC not once but twice. The fans pushed forward with posts on social media, sending emails and letters to NBC studio heads, even raising thousands of dollars to rent a helicopter to fly a Timeless banner over the convention center in San Diego during ComicCon. The writers and cast of TIMELESS encouraged the effort. A few months later, NBC and Sony had come to an agreement to produce a two-hour movie to wrap up the story line. Julie Bolder SDSA International came on as Set Decorator for this iteration, Bruce Miller as Production Designer. 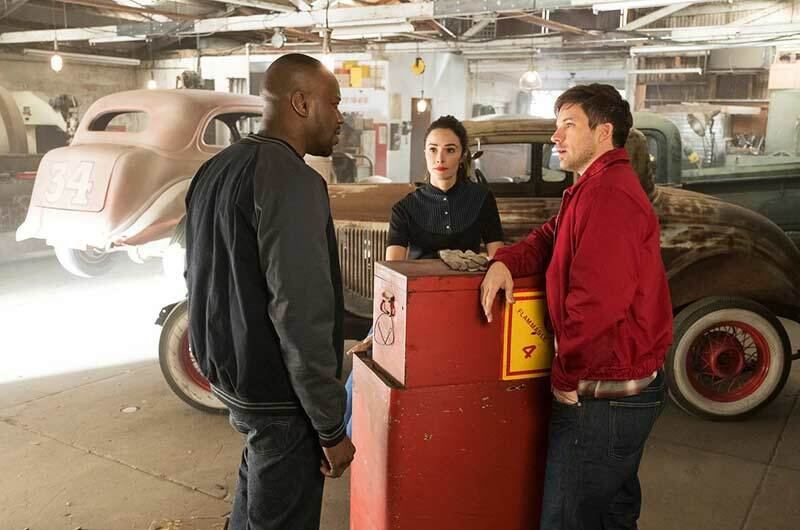 TIMELESS tells the story of a three-person team of time travelers racing throughout history trying to save humankind: Lucy Preston [Abigail Spencer], the historian, Wyatt Logan [Matt Lanter], the soldier, and Rufus Carlin [Malcolm Barrett], the engineer who pilots the time machine. The team, assembled by the Department of Homeland Security under the direction of Agent Denise Christopher [Sakina Jaffrey], is working with the creator of a time machine, Connor Mason [Paterson Joseph], initially to fight against Garcia Flynn [Goran Visnic]. Flynn has stolen the time machine from Mason Industries in order to change history to fight against Rittenhouse, an underground, ruthless new world order. Throughout Season 1, we learn the backstory as to why Flynn has stolen the time machine. By the end of the season, we learn that the mother of one of the members of the team is part of Rittenhouse...in fact, the family has been part of this nefarious group for centuries! 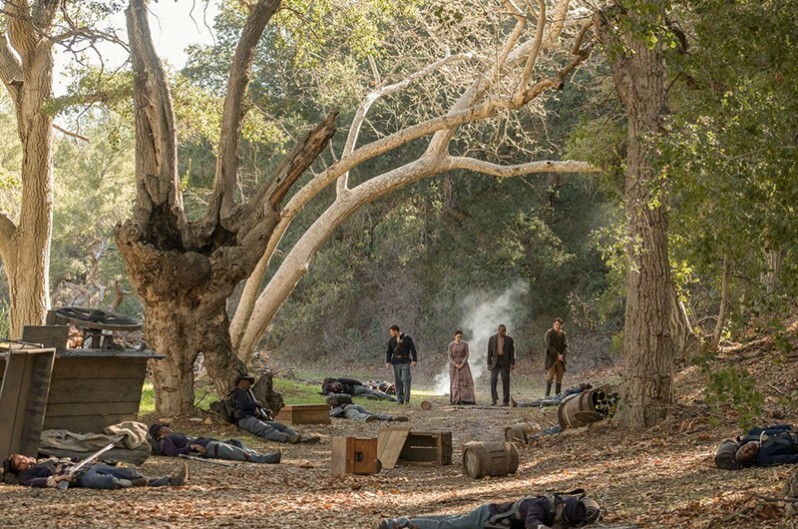 In Season 2, we see the team join Flynn to fight back against Rittenhouse. 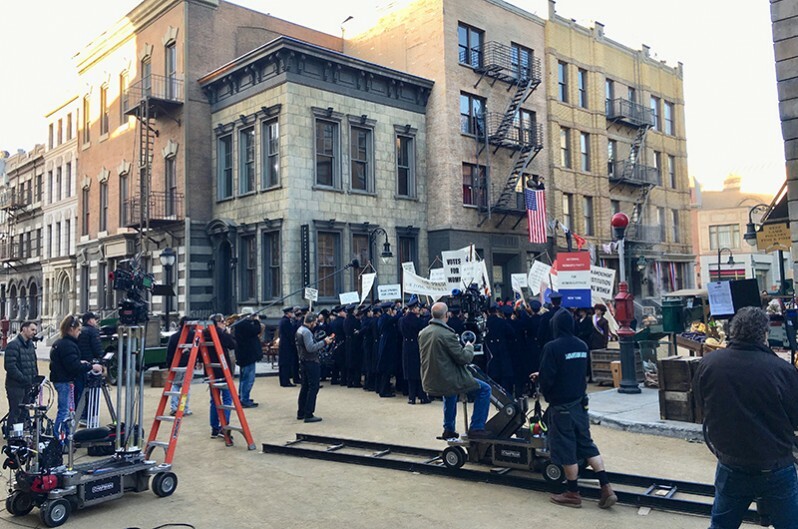 “The biggest challenge on Timeless Season 1 was neither building nor sourcing decor - it was the timeline.” 8 days of shooting and 8 days of prep for each episode. There were times it became extremely tight to get the set to camera in time. 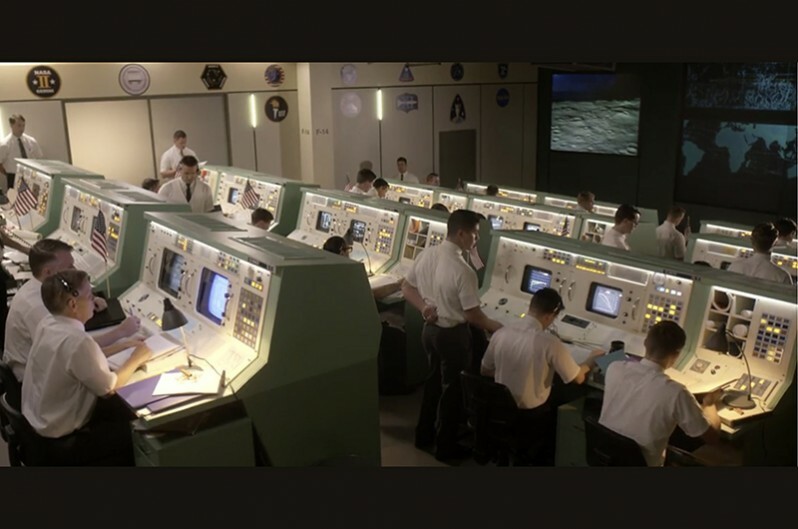 In an episode about the Apollo 11 Mission (1960’s), Hitsman was tasked at creating the mission control room. The prop house she was planning to rent from was temporarily closed, so she suddenly had to have the console built. “Every switch, button, CRT and receiver had to be sourced locally in Vancouver...two dozen wireman working along with a dozen set dressers to get these control consoles ready for camera! I remember standing in the middle of the shop, feeling the energy, everyone giving it their all...” This made the Apollo 11 set one of her favorites of the season. It was a large undertaking creating the TIMELESS world each week. “It was a difficult show, but a Set Decorator’s dream show.” She was able to rent set decoration from prophouses and antique stores. However, since rented furniture couldn’t be aged, she had to purchase much of it. As episodes went on, she accrued a massive inventory of stock, so she used a classic Set Decorator method to reuse furniture—she had it reupholstered and refinished, and on to the next era, the next set. “We also had to custom all of our massive drapery the whole show, as the drapery had to be so outrageous, and, due to the shooting style of Season 1, was featured so heavily. I kept 3 workrooms going solid the whole show! Production Designer John Zachary and Set Decorator Dena Allen SDSA International were brought on when the production moved to Los Angeles for Season 2. Having experience with period productions stood them well. 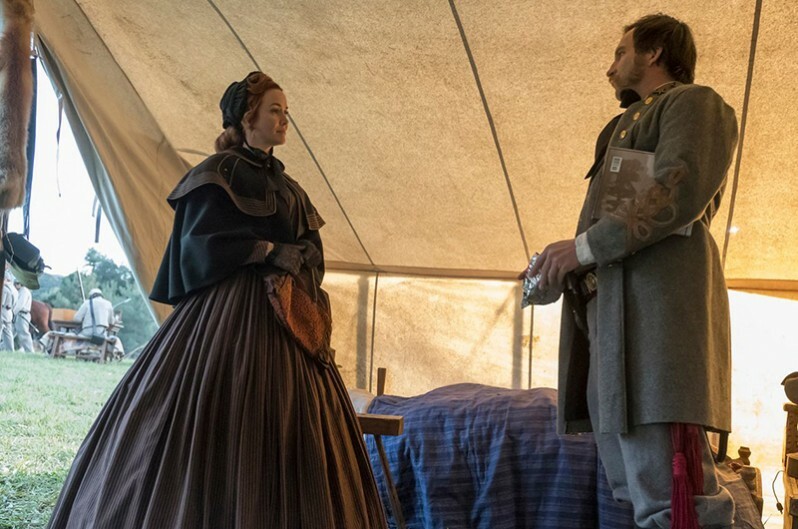 Period television is always challenging, but TIMELESS has the added challenge, given that it doesn’t stick to one time in history, that each episode is literally a different time, ranging from the 17th century to present day. Research was vitally important in order for the story to be told as actually as possible. 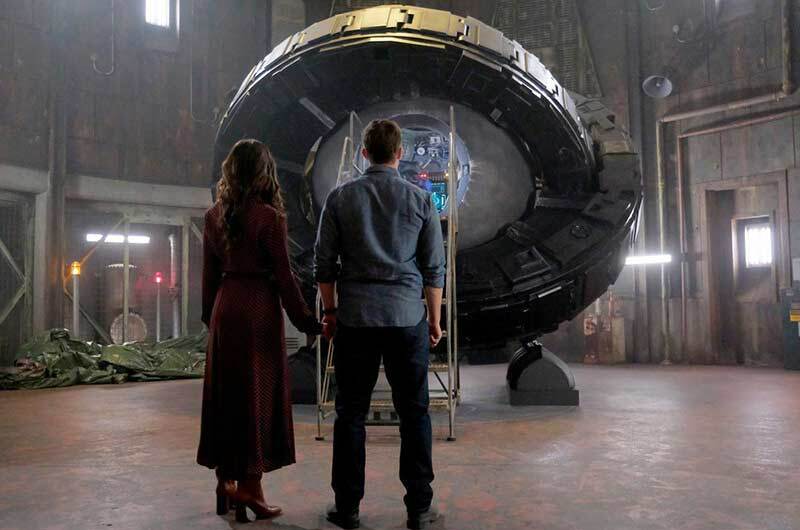 While Zachary and Allen and their teams dove into research for each period, the writers of the show also helped, “They gave us what they had and we gave them what we had, and we worked together for each episode,” says Zachary. 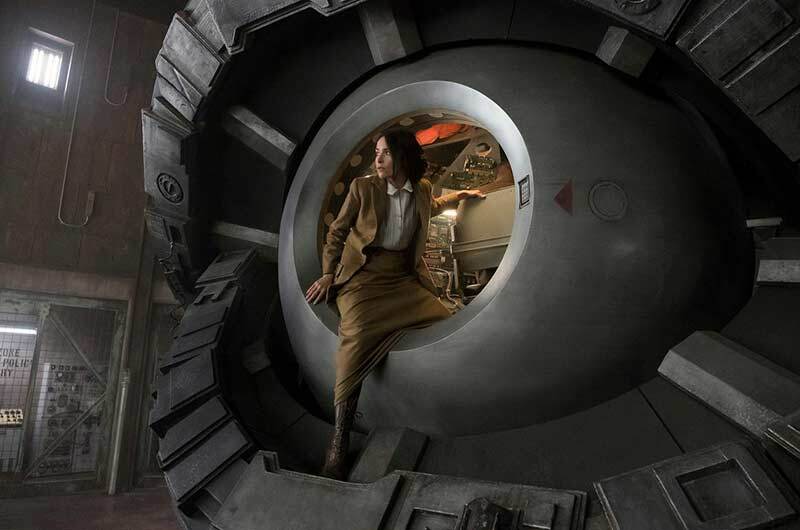 In television, there isn’t as much prep time as a feature film, and yet TIMELESS was like designing and decorating a different film each week. “For the season premiere, we had a considerable amount of design time, but it closes in really quickly as the season goes on,” Zachary wryly notes. For Allen, the constant “off” on each location was thermostats. “They were all wrong, no matter what time period, they were always wrong, so Stephen Pleat, Visual Effects, had to budget a line item in every episode just to conceal the thermostats in post.” Who would think that thermostats would be an issue, but you usually can’t cover them, it would look odd, and you can’t remove them on a location, so here’s a great example of inter-department collaboration. 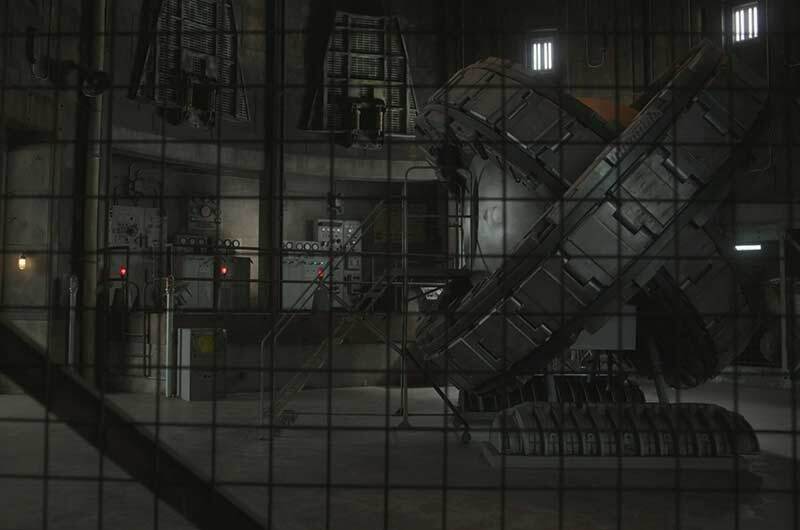 Visual Effects were essential in completing the storytelling on screen. Another example: the Barkley Hotel in downtown Los Angeles was used for the exterior, Austin Texas 1936. Only one street block was decorated when shooting the scene. Then Visual Effects in post-production created the rest, “They added cars and buildings, a lot details in the background and got rid of inappropriate street lights,” Zachary recalls. The team shot extensively in and around Hollywood, including the Biltmore hotel in downtown Los Angeles to play as New York’s Saint Regis Hotel in the 19th century. For a 1955-era dirt racetrack in the episode The Darlington 500, they built half of a speedway at Sable Ranch. They also filmed at the Disney Ranch for the battlefield of World War I. 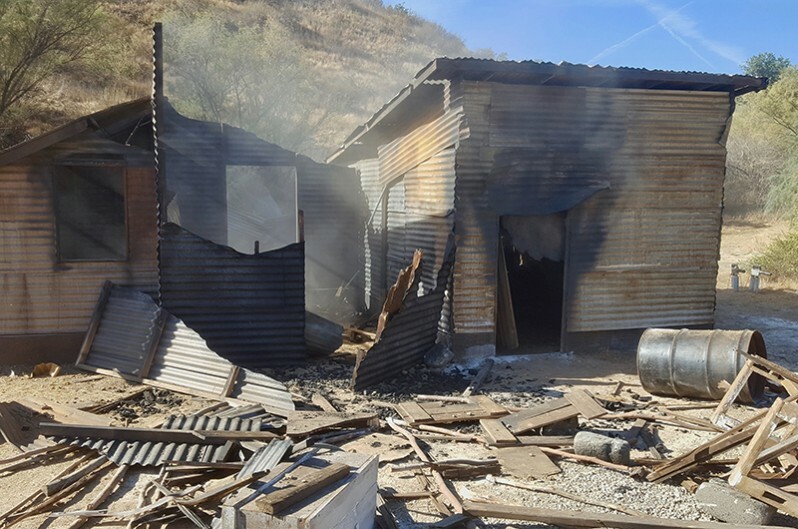 “There had recently been a brush fire there, so we shot the burned out area as the ravaged WWI battlefield,” Zachary reveals. They filmed almost half the shooting schedule on the Paramount Studios sound stage and half on various locations. 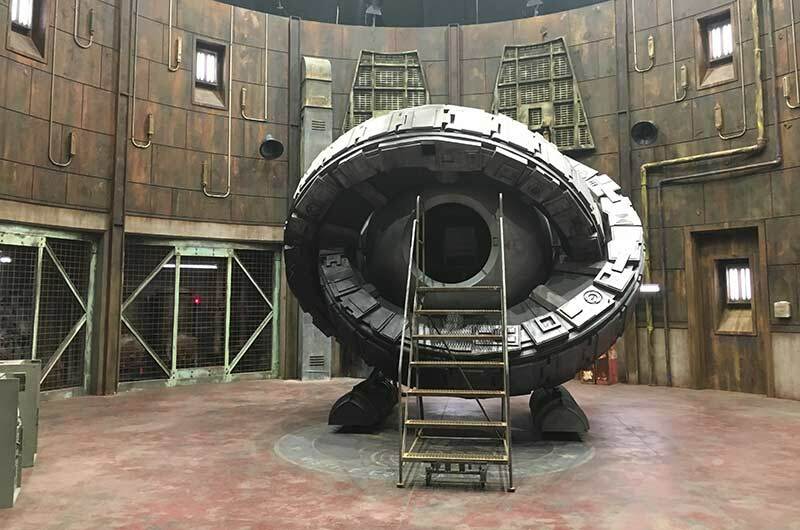 “We shot in the bunker permanent set a lot, I would say at least two days an episode,” says Allen. Other sets that used the Paramount lot included the Women’s suffrage episode, while one the easiest sets for John Zachary was the 1941 movie studio, which was shot at Paramount Studios for Paramount Studios, “That was pretty much a slam dunk!” Zachary laughs. From her long standing relationships with prop houses, Allen was also was able to work out special production deals. 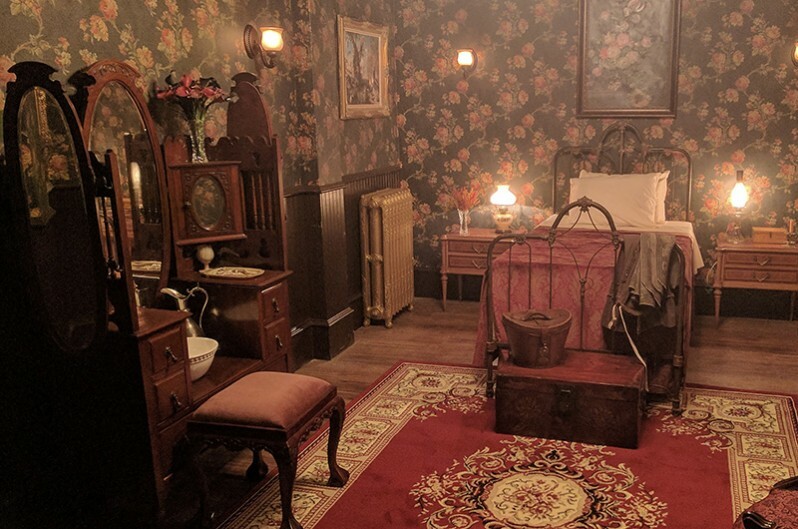 SDSAI Business member LCW rented her upwards of $300,000 worth of technical and period set decoration for a fraction of the price. 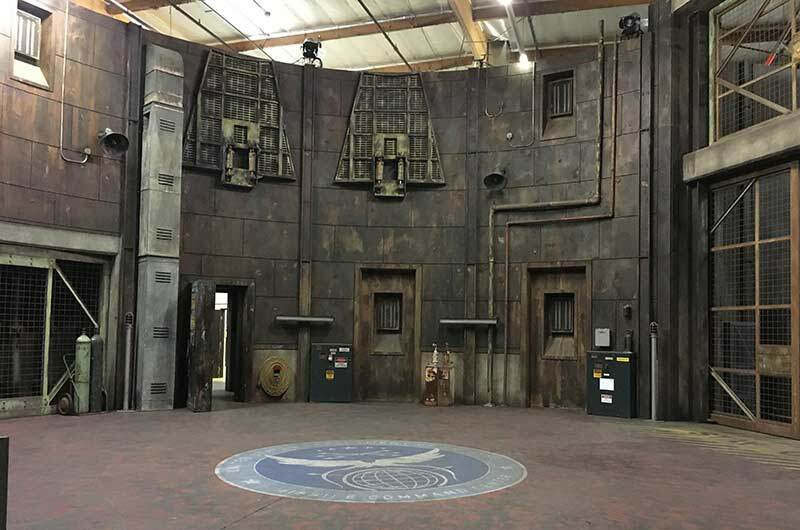 “The set decoration for the bunker set came from them, part of it actually off the series THE LAST SHIP. They gave us an amazing deal, they were very kind to me,” Allen notes. 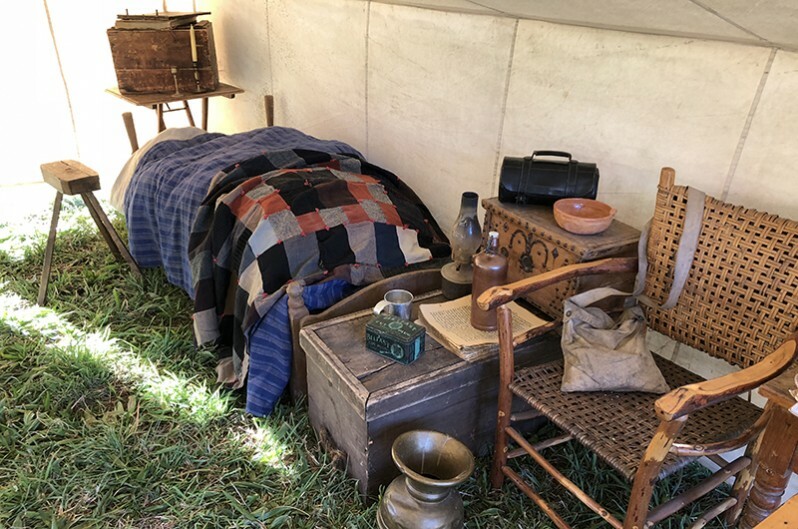 She also rented from SDSA International Business member Premiere Props for historically accurate military tents and medical equipment used in the first episode about World War I, plus the many crates and barrels it takes to fill a set! She worked with Business members Warner Bros. Studios and Universal Studios Property for high-end scenes, especially for the Presidential Suite in the Women's Suffrage episode. TIMELESS is the type of show you can be immersed in the history lessons the script provides and yet be entertained all in the same moment. The big reason fans are so invested in the show, is that families, both young and old, can watch the show and learn something new each week, with storylines and sets about historical figures and events. At the time of these interviews, news broke that the show would not be renewed but the fan base, as well as, the show creators are hopeful that a movie version of the show will allow one more last trip on the time machine! We want to thank Janessa, Dena and John for taking time out of their busy schedules to share their experiences via conference calls all over the country. Dena Allen SDSA International is currently working on THE RESIDENT, and, ironically, we discovered during this interview she will be working with Chase Helzer SDSA International Associate while filming in Atlanta! 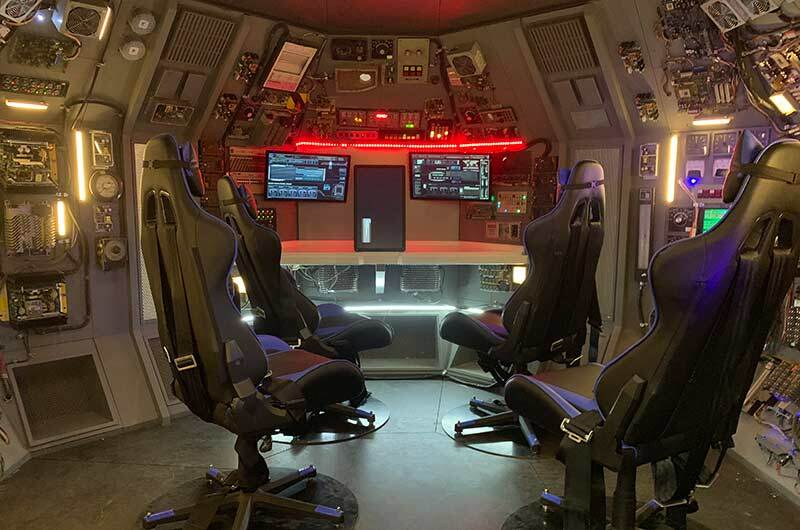 Janessa Hitsman SDSA International has completed production on LOST IN SPACE, check back to SET DECOR for that new article soon! 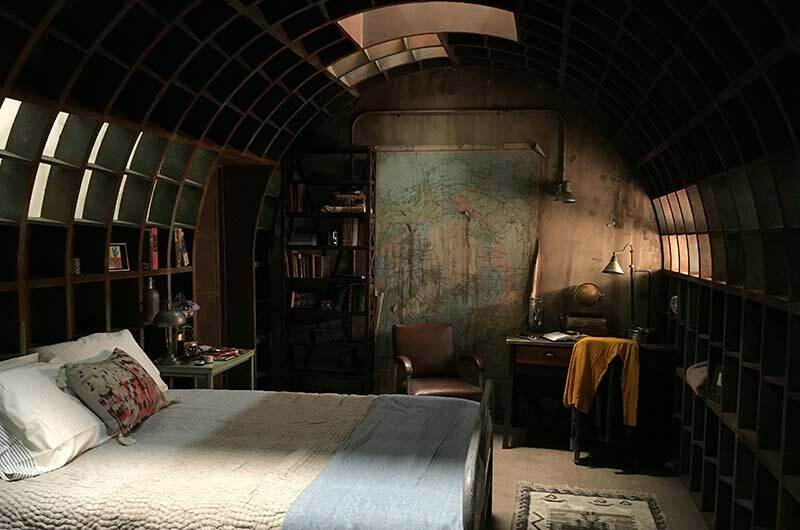 We look forward to continuing to follow the careers of these amazing set decorators! SET DECOR: Besides the budget, what was your largest challenge with the Set Decoration? 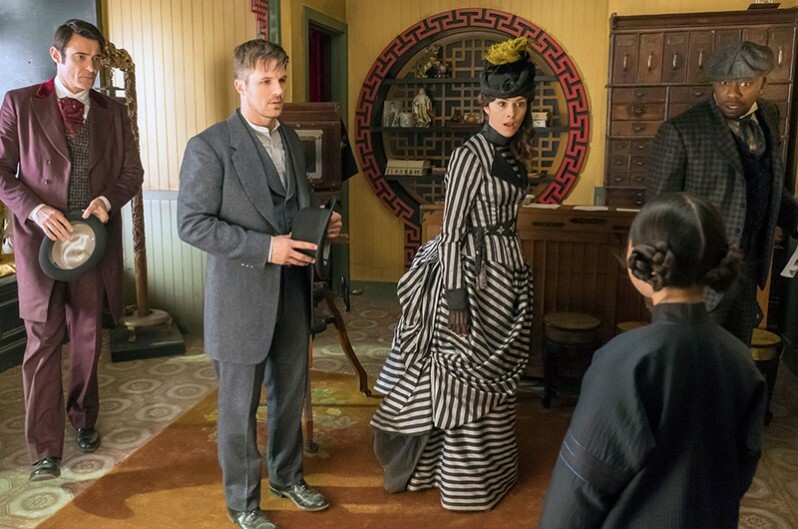 Bolder: TIMELESS is a show with a very devoted fan following. The permanent sets had to be brought back up with all the established details correct, or the fans would notice. This was particularly challenging as at the end of the 2nd season the show was technically cancelled, so very little was stored. We had to source everything from scratch in a short period of time. We pulled screen grabs from the entire 2nd season and then started the hunt where to find every item. As I was watching all the previous episodes, I realized this show had a grand, cinematic look to it. 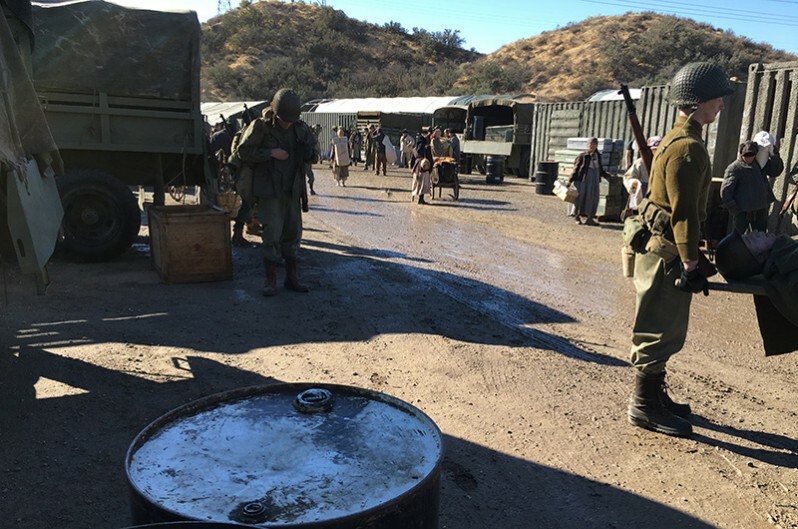 The sets were huge; the dressed locations were vast and very detailed. Our challenge was also to maintain that big, beautiful look to the show with the resources we had to work with. SET DECOR: What set were you most excited to decorate? Bolder: The most anticipation and excitement I had was to re-create the evacuation of the Port of Hungnam in Korea in 1950. It had to be as historically accurate as possible. I hadn’t had the opportunity to decorate period military scenes before, or period war-torn Korean Villages. This event is a well-known moment in history, so we had to get it right. Luckily, there were photos and documentaries of the evacuation, and I studied everything I could find for details. There were questions I needed to find answers to...for instance, they had electricity in the ‘50s in Hungnam, but was the power on or was it out due to the war, with lighting by oil lamps and candles? What did a war-devastated Korean village market look like, and what kinds of supplies and foods were available? What did the inside of the churches look like, and what belongings were in the handcarts the local people were pulling? 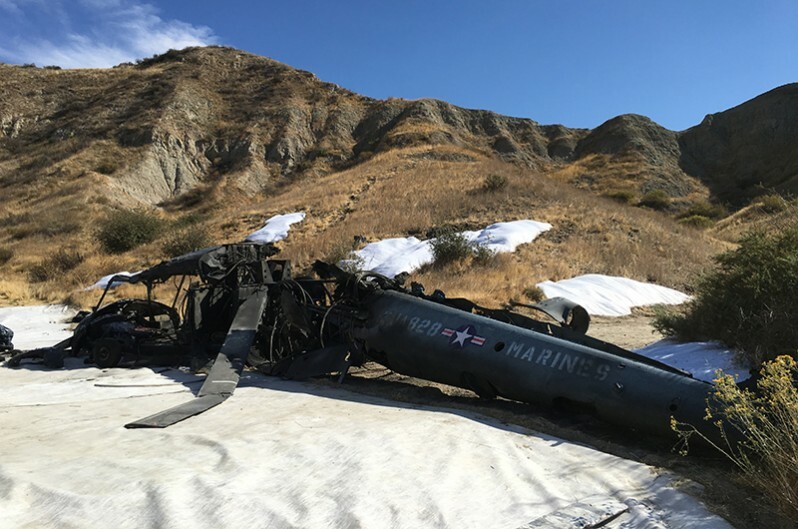 One of the biggest Set Dec challenges was a crashed military Sikorsky H-5 helicopter. They have a very specific look, and they just aren’t around anymore except in museums. Between Set Dec and the construction department, I think we did a pretty believable job creating one, down to the smashed windshields and broken rotor. Quite a bit of the set dressing at the port was massive, like the helicopter. 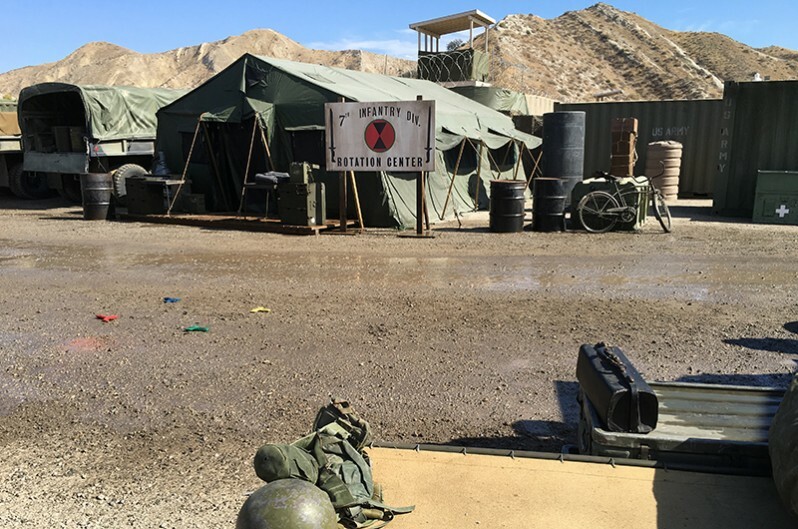 We had heavy equipment like Pettibones working moving pieces into place all around the military base, and taking the helicopter up into a remote ravine. Working on this large of a scale was fun for both my team and me. We were all over Blue Cloud and Valuzat Movie Ranches, and at Burmite compound as well. There were many sets that were exciting to decorate, and multiple time periods and countries. One day we were working in 1849 California Sutter’s Fort Gold Rush era and the next day we were working in a 2012 Sao Paolo, Brazil. Thinking of the details of multiple time periods simultaneously keeps you on your toes. I really enjoyed it. 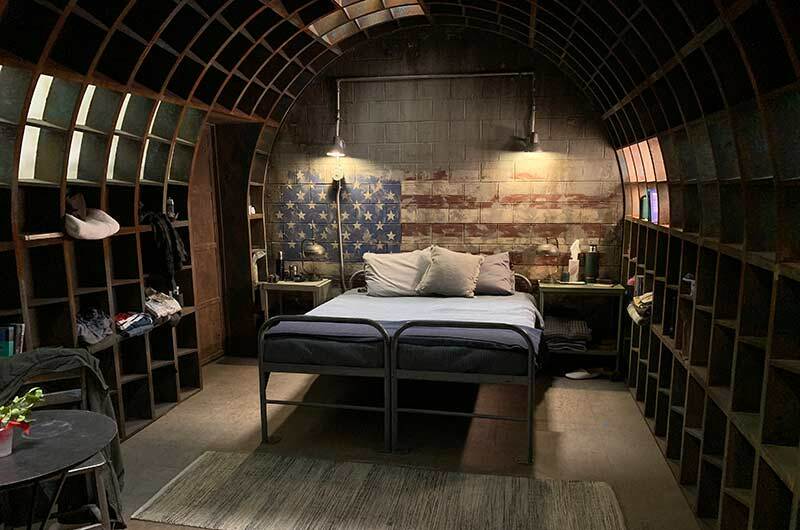 SET DECOR: Since this was a two-hour TV movie, how did you approach it? Bolder: My team and I approached it like it was really two episodes. First, bring back up the perms, and then start on the biggest of the period swing sets. I have an amazing crew, and they made it all go pretty smoothly considering the pace we were keeping up and the scale of the sets. SET DECOR: What is your fondest memory of the shoot? Bolder: The fondest memory is always spending time with my crew. I enjoy being off by myself shopping or researching, but, without a doubt, my favorite part is when we are all working together dressing a set. I love that part. And I really enjoyed the Art Department on this one. Production Designer Bruce Miller and Art Director Michael Clausen were a real pleasure to collaborate with. 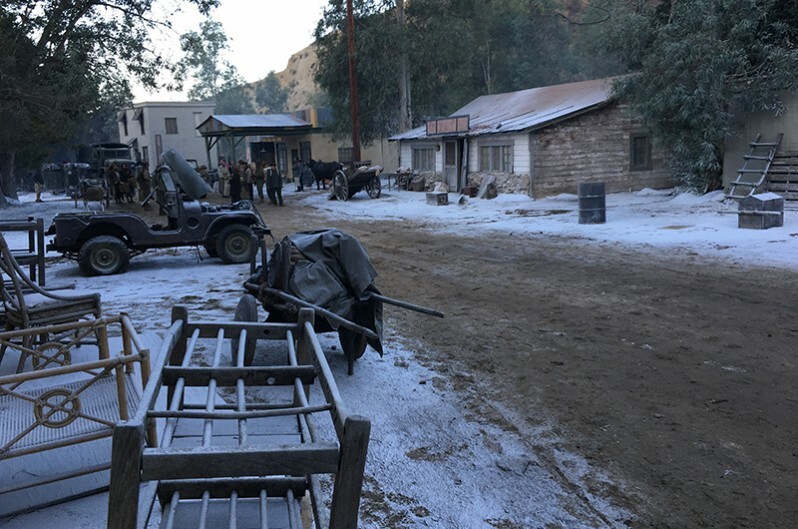 One of my favorite moments on this show was when one of the Korean villages was dressed, the company was arriving, and Special Effects was laying down a layer of fresh snow for the finishing touch. That’s a very rewarding and satisfying moment. You enjoy it for a few minutes, then you head out to the next set you have to get ready. I have learned to savor those precious few minutes where everything is ready before rushing off to the next set. 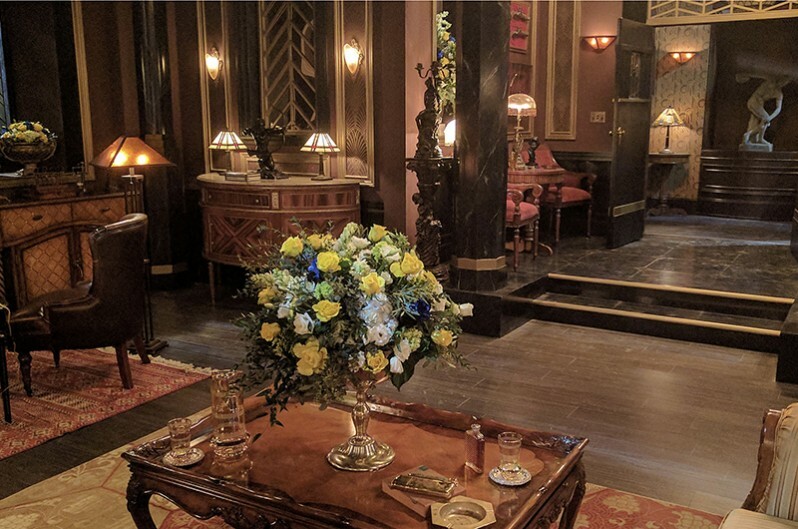 SET DECOR: What surprised you about the show? Bolder: We had been told this was it, this is the grand finale for the fans. The big wrap up. Don’t keep anything, return everything. As we were starting to wrap the permanent sets, the word came around… fold and hold. As Allen has pointed out, and every Set Decorator knows, SDSA International Business member are an invaluable asset.